Mixtec speakers inhabit a vast territory of broad mountain ranges and small valleys that stretch across the modern-day states of Puebla, Guerrero and Oaxaca (pic 1). Artisans in the region are renowned for their skilled work with gold and stone as well as their stucco sculptures and polychrome pottery. And, of course, they created pre-Hispanic codices. All these examples of Mixtec art date back to the Postclassic, a period between the tenth and sixteenth centuries when political centres proliferated, filling the vacuum left after the collapse of large cities established in preceding centuries. However, these new entities still retained the commercial and political dynamism of their precursors. 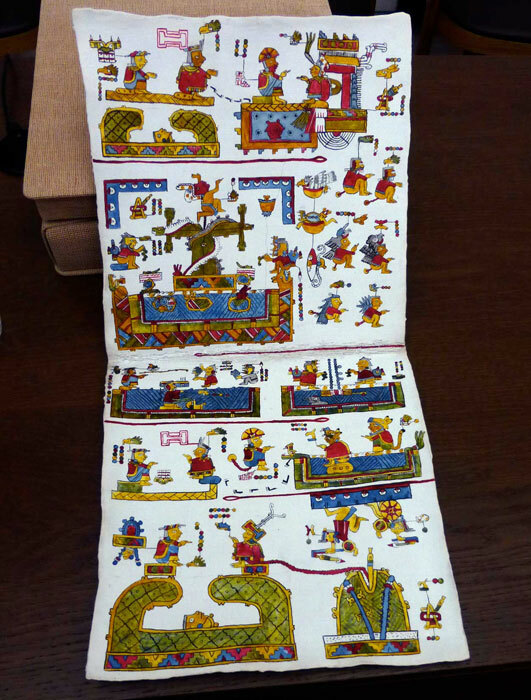 The Mixtec codices record the founding of important towns and señoríos (local chiefdoms) from at least 940 CE, and thus constitute a vital source of information about how historical events unfolded in this part of Mesoamerica. 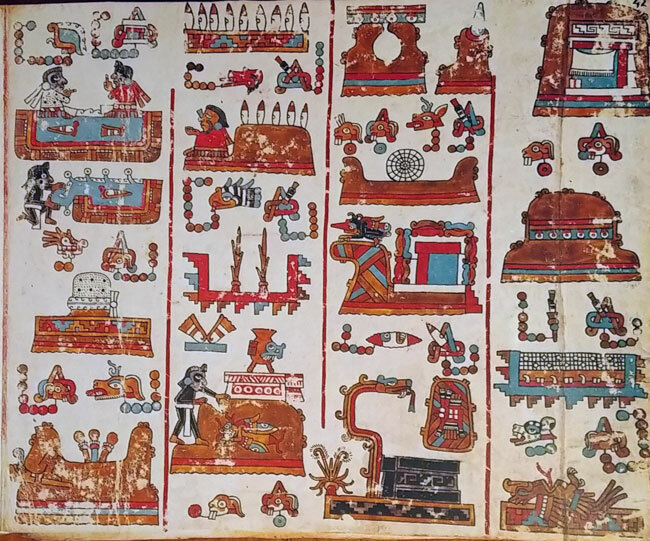 The Mixtec codices provide the only set of historical and genealogical documents (apart from the Maya manuscripts) that survived the Spanish conquest (pic 2). As such they offer a valuable record of history, religion, traditions and forms of social and political organisation in the region, as told by the Mixtecs themselves. These pictographic manuscripts contain everything from origin myths to details of the lives of influential figures during the region’s political and social development. Sixteenth-century texts give various names to these pictographic narratives or codices: the Mixtec referred to them as tonindeye, ‘histories of lineages’, tnuhu niquidza yya, ‘an account of rulers’ deeds’ or ñee ñuhu, ‘sacred skins’. These words tell us that the stories of the Mixtec rulers as described in the Mixtec codices were considered ‘sacred stories’. In other words, they explained the rulers’ divine origin, and the rituals by which these figures founded their chiefdoms and communities. The Mixtec rulers considered themselves the children or descendants of gods, who would generally have had a hand in their creation; marital alliances between ruling families (pic 3) helped preserve the purity of their divine ancestry. This sacredness gave special ruling powers to the yya (Mixtec for ‘king’ or ‘lord’), and therefore he was the only individual who could possess the symbols of power and act as a direct link to the gods. 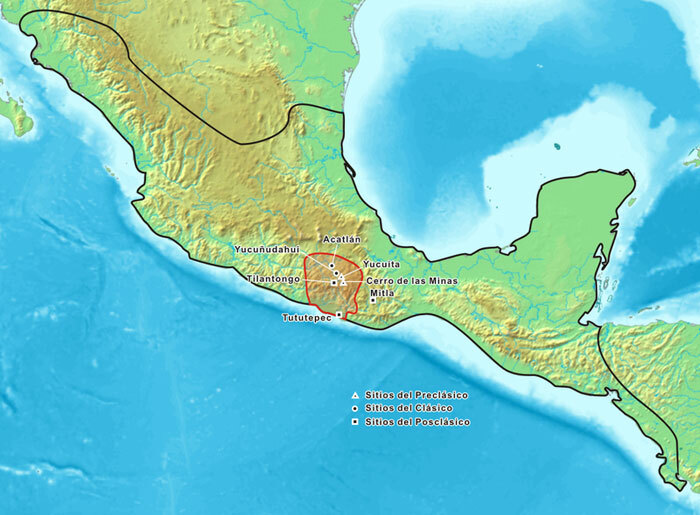 The codices also tell us about the wars waged between the main chiefdoms in the region - principally Tilantongo, Teozacoalco, Jaltepec, Tlaxiaco, Tututepec, Achiutlia, Apoala, Suchixtlan, and Yanhuitlan. They also clearly serve the purpose of legitimisation, through the careful recording of the names of the rulers’ fathers, sons and other descendants, as well as the names of places of origin of the parents and grandparents of the women who married the lord of a specific lineage. The codices therefore performed a social function by conjoining the various families of the most influential ruling groups within a region that might be controlled by a powerful overlord. The pre-Hispanic Mixtec codices (pic 2) consist of the Zouche-Nuttall, Vindobonensis, Colombino, Becker I, Bodley and Selden*. 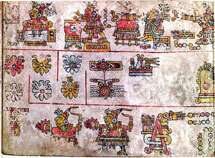 Although the Codex Selden (pic 4) was finished around 1556, it is considered to be of pre-Hispanic origin since it preserves a strong indigenous tradition in its pictographic techniques, with no demonstrable European influence. 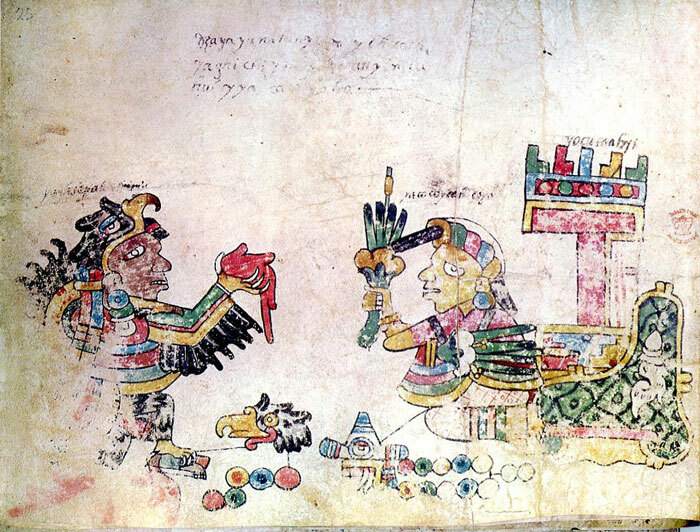 We are unaware exactly how the pre-Hispanic codices were taken away from Mesoamerica after the Spanish conquest, but these manuscripts mainly reached the Old World as gifts or as part of the documents submitted to Spanish courts that handled legal matters in the Indies. The Codex Vindobonensis is believed to have been sent by Hernán Cortés as a gift to King Charles V, along with the second of his Cartas de relación, in which he gave his account of the conquest. But this is not yet known for certain. 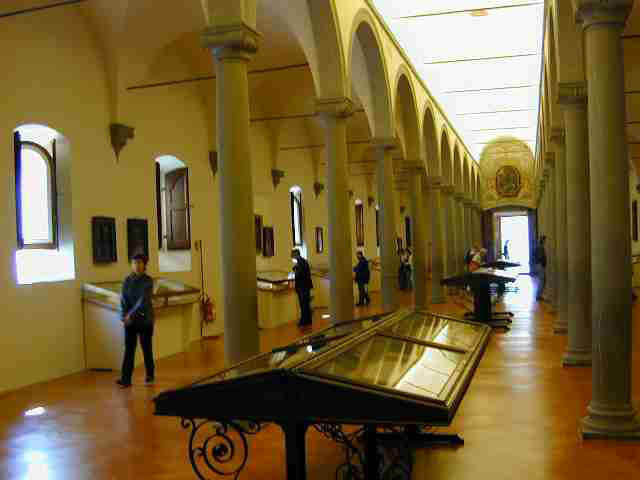 We do know that the Codex Zouche-Nuttall turned up in Florence in the San Marco Dominican monastery library (pic 5) in 1854, perhaps taken there by a friar from that religious order. Even less is known about the Codices Bodley and Selden before both were deposited in the Bodleian Library in Oxford, England. The Selden belonged to the humanist scholar John Selden, while in the early seventeenth century the Bodley passed into the possession of Thomas Bodley, the learned book collector and founder of the aforesaid library named in his honour. The Colombino and Becker I are the only codices whose story is beginning to become clear. They form part of a single manuscript that was separated around the 1530s or 1540s. They have since been conserved as independent documents. We know that the Codex Colombino belonged to the caciques of the town of Tututepec up until the first half of the eighteenth century. In around 1863, for reasons still uncertain, it was acquired by a lawyer from Puebla named Manuel Cardoso, after whose death it changed hands a number of times before being eventually bought by the German trader Josef Dorenberg in 1888. Finally, on the orders of the government of Porfirio Díaz, Dorenberg sold the manuscript to Francisco del Paso y Troncoso who was a member of the Junta Colombina, a group of eminent historians commissioned to mark the fourth centennial of the discovery of America. 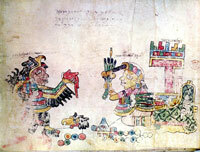 This explains why the Colombino (pic 6) is the only pre-Hispanic codex still conserved in Mexico. The Codex Becker I was long thought to have belonged to the lawyer Pascual Almazán before the German merchant Philipp Joseph Becker acquired it. But recent research indicates that the real owner of the codex around 1855 was Manuel Cardoso who, as we saw earlier, also had the Codex Colombino in his collection. Apparently Becker bought the manuscript after Cardoso’s death and took it along with his other antiquities to his house in Darmstadt, Germany. After Becker died the collection was acquired by Georg Haas, who donated it to the Natural History Museum in Vienna. 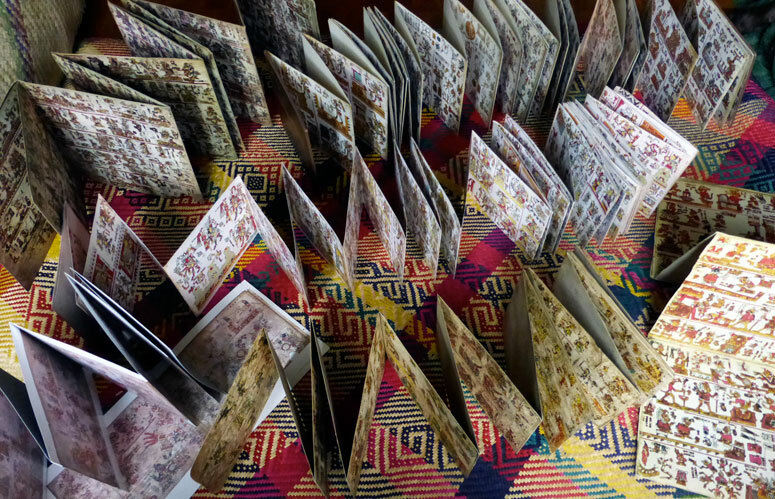 The six Mixtec codices are remarkable due to the diversity, colour of the shapes and tracery [fine patterns] that bring their glyphs to life. Each sheet is divided vertically or horizontally by red lines which help to guide readers and to define the composition of the figures or scenes. Depending on the codex, these either direct the reader from right to left (pic 7) or vice-versa. The divisions are not usually continuous, but rather broken in the middle of each sheet to indicate the flow of the narrative. Each town or local chiefdom probably established its particular writing technique: in the Codex Zouche-Nuttall and on the obverse [front] of the Vindobonensis the red lines are vertical (pic 7) while in the Codex Colombino-Becker they are horizontal (pic 8). This might be related to the different periods in which the codices were made, or be a question of regional stylistic differences. However, if vertical red lines were commonly used during a certain period, by the early sixteenth century the style had changed to horizontal lines, because even the reverse [back] of the Vindobonensis showed this change in format from its obverse. 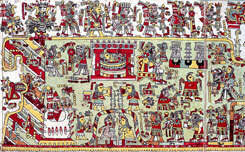 Iconographically, the Codex Zouche-Nuttall and the obverse of the Vindobonensis most likely represent the regional Mixteca Alta style, while the Codex Colombino corresponds to a different stylistic and iconographic tradition that developed during the same period in the coastal Mixtec area. 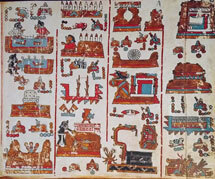 No precise dates can be given for the creation of the pre-Hispanic codices of the Mixtec Alta. However, I propose that the obverse of the Codex Zouche-Nuttall was probably related to the need for Eight Deer’s descendants to legitimise their ancestry in the early fourteenth century, since the ruler’s direct lineage had come to an end with the death of the last ruler of the second dynasty of Tilantongo in 1341. Although no conclusive evidence places the Codex Zouche-Nuttall in the fourteenth century, we can say that the painting style in fashion by the sixteenth century is completely different to that of this codex and also quite unlike the Colombino’s. I am referring to the style of the Bodley, the Selden and other documents produced well into the sixteenth century. 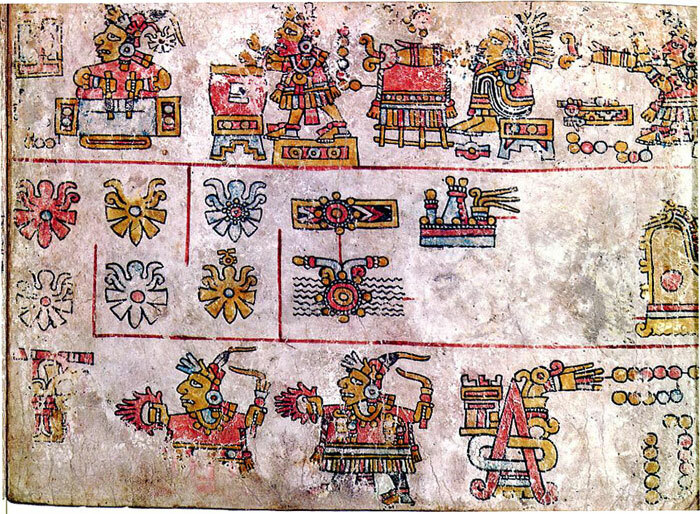 Some years ago, Mary Elizabeth Smith studied the stylistic details of the Mixtec codices and divided them into four groups according to their similarities: the Codices Zouche-Nuttall and Vindobonensis; the Colombino-Becker; the Bodley, Selden and Becker II; and the Sánchez Solís or Egerton. The Bodley-Selden-Becker II subgroup was made well into the sixteenth century, while the Zouche-Nuttall-Vindobonensis subgroup could be the oldest. The Sánchez-Solís or Egerton (pic 9) was painted in the mid-sixteenth century. To which period does the Colombino-Becker group correspond? This question remains a difficult one to answer but we can at least place it somewhere between the fourteenth and sixteenth centuries, although this i admittedly highly speculative. 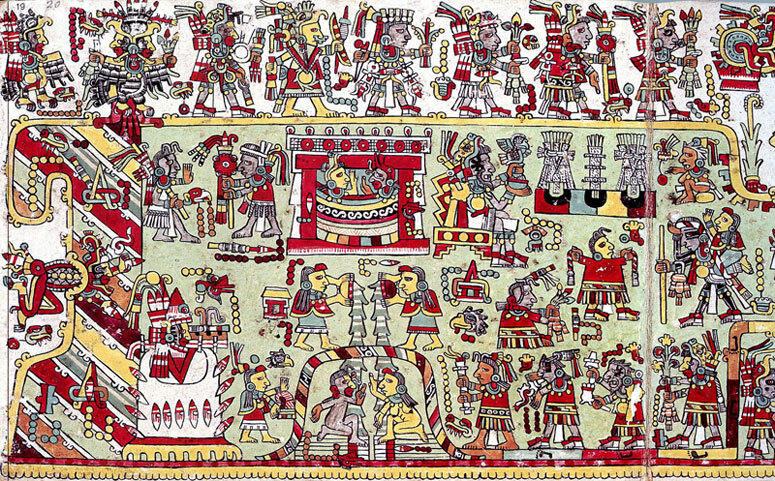 The Colombino’s imagery seems to be based on the coastal Mixtec style, but does not bear similarities to that of other documents from the same region. Whatever the case may be, the group of artists or scribes who painted the Codex Colombino-Becker certainly developed a stunning iconographic style with highly innovative forms painted in vivid colours with a great freedom of expression. This exuberance is evident in the diverse ways they painted toponyms, temples, day signs and the various objects related to politics, war and rituals (pic 10). It is impossible to give a precise place of origin for the Bodley-Selden-Becker II style, though it has been suggested that the Codex Bodley was painted in the chiefdom of Tilantongo. Thus it would not be far-fetched to suppose that one of the main political and ideological centres of the Mixteca Alta was also one of the most influential centres of artistic innovation in the entire Mixtec region. According to M.E. 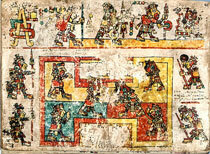 Smith, the Codex Becker II may also have come from the Mixteca Baja, as the same style was present in both subregions. Thus, the prevailing style in the codices produced throughout the sixteenth century can be said to have originated in the Mixteca’s great political and ideological centre: Tilantongo (pic 11). 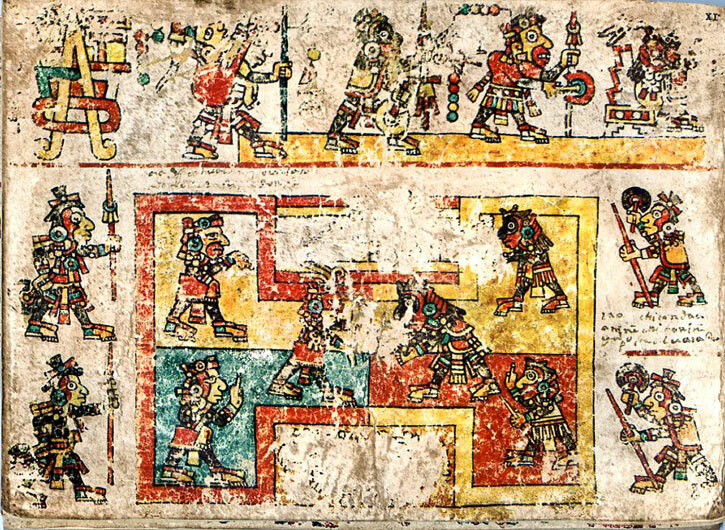 • Códice Ñuu Tnoo Ndisi Nuu or Tilantongo y Tlaxiaco (Codex Bodley). • Pic 11: Image from Wikipedia (Tilantongo). Some of the imagined places of origin of these pre-Hispanic codices in the past have since been proved wrong: cases of ‘Mixtecan identity’?